43rd MILO Marathon Calendar Out | JustRunLah! Mary Joy Tabal and Raphael Poliquit, the reigning MILO Queen and King. THE SCHEDULE for the 43rd MILO Marathon season has been released in what could be the longest season in the race’s history. Runners will have to wait until January 19, 2020 for Tarlac City to host the National Finals that will cap the series of 10 regional qualifiers from July to November. While no official reason has been given, moving the Nationals to January could be due to the Philippines’ hosting of the Southeast Asian Games from November 30 to December 11. 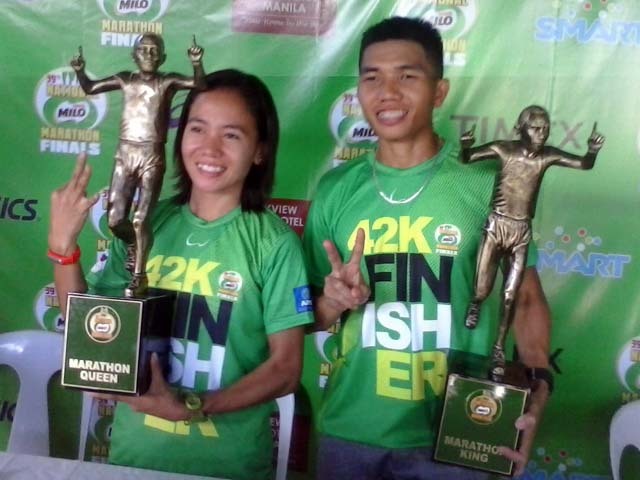 The new schedule will thus accord MILO Marathon King Rafael Poliquit and Queen Mary Joy Tabal a chance to defend their crowns in the country’s oldest and most prestigious footrace. 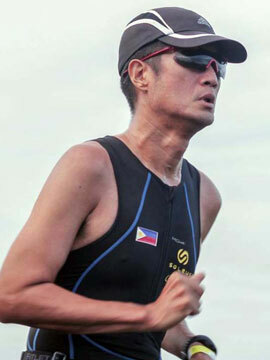 Poliquit and Tabal are expected to spearhead the Philippines’ entries in the SEA Games Marathon were they expect to use the familiar settings to the hilt and capture gold medals. Tabal also looks at stretching her MILO reign to an unprecedented seven-peat. Before Tabal, the legendary Arsenia Sagaray of Zamboanga del Norte scored five victories in a span of six years from 1992 to 1997. The only break in her reign came in 1995 when Sagaray opted to compete in the Southeast Asian Games in Chiang Mai, Thailand whose December schedule conflicted with that of that year’s MILO Marathon. The qualifiers will fire off in Urdaneta City on July 14. The Metro Manila qualifiers which is consistently the most attended will be next on July 28. The rest of the Luzon races will be held at Subic Bay (August 4), Lucena City (September 15) and Batangas City (September 22). The Visayas-Mindanao races will be at Cebu City (September 29), Iloilo City (October 6), General Santos City (October 13), Davao City (October 20) and Cagayan de Oro City (November 17). Subic Bay or Olongapo City last hosted a MILO qualifier way back in 2011. Davao City returns to the calendar after being conspicuously absent last year thus there will be no race in Butuan City this season.